Brendon Burchard reviews; Is it legit or scam? In this Brendon Burchard reviews, I will talk about who he is, his programs/courses, events, books, blog, podcast and videos to give you a complete picture, so that you can be able to determine by the end, whether it is legit or scam. They go further to say that he has been named one of the most influential leaders in personal growth and achievement by the Oprah magazine and SUCCESS magazine. In his about page, it is stated that he suffered from depression as a young adult and survived a car accident when he was 19. After his accident, he wandered if he had lived his life fully and if he had made a difference. This drove him to his life goal of helping people to love, live and matter. By helping people to achieve their purpose on earth, he has become very renowned and very rich. 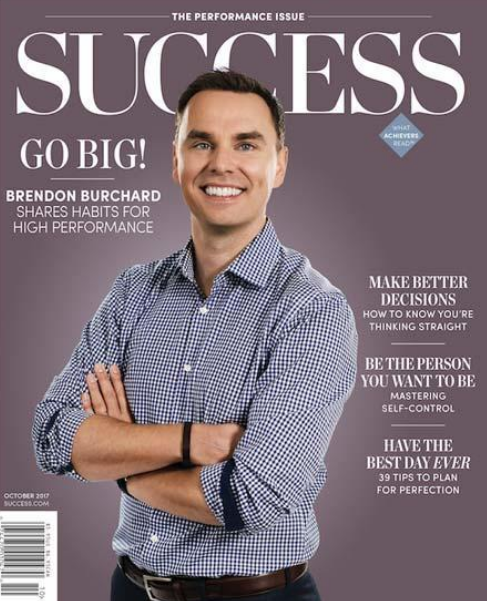 Brendon Burchard has a variety of programs; courses, events, videos, podcast and a blog. Below is a thorough review of each of these programs. Brendon’s Experts Academy is a program that promises to train members to become, highly-paid authors, speakers, coachs, online trainers, or social media influencers. In the introductory video, Brendon explains that experts academy has been around for 12 years and use to cost $2000 to join. In the new Experts Academy, he promises to teach members how to find their message, figure out their products or services and figure out what to charge people for it. Furthermore, he will help you build a brand that connects with people. He say this has to come from your heart and has to be your passion. He is out to help you grow your passion from scratch into a successful business like his. According to him, you do not need any special skills to do this. You don’t even need technical skills. He will use the knowledge he has acquired through the years, to help you achieve your dreams in a fun way. There are many more videos for subsequent weeks. There are pre-requisite for accessing videos. You have to finish week one before you can open week two. Then, you need to be a member for at least 30 days to get access to week one. The fee is $97 a month or $ 897 a year. The image below summarizes it up for you. This program is aimed at helping members develop habits that will help them be their best everyday. Brendon will teach members powerful daily, weekly and monthly practices to improve their performance in anything they do. You get immediate access to six Habit Builder classes – CLARITY, ENERGY, PERFORMANCE NECESSITY, PRODUCTIVITY, INFLUENCE AND COURAGE. You can take these courses at your own pace. The courses are valued at $600 but he offers 50% off. This program is currently offered at 50% off for $297 (one time fee). This is a once a month program that is aimed at giving you the mindset of Olympians, millionaire entrepreneurs and fortune 100 CEO’s. Brendon goes live once every month for two hours to thousands of registered members and teach them how to double their momentum in life. He tells them his latest strategies, and then conduct coaching and Q&A . If you chose to stay after the 7 day trial period, you will pay $49 a month. If you miss a live training session, you will get a recording to watch. The Achievement Accelerator (Usually $297!). This is a 5-week online course that teaches you to multiply your ability ten fold to achieve your goals FASTER. The Influence Course (Usually $297!). This is a 3-hours training on how to get people to BUY from you, BELIEVE in you, and support you on your path to achieving your dreams. Secrets of the Top 2% (Usually $297!). This course explains how the highest-performing of the high performers reach tremendous levels of wealth, power and happiness. The 10 Human Drives (never before released separately!). 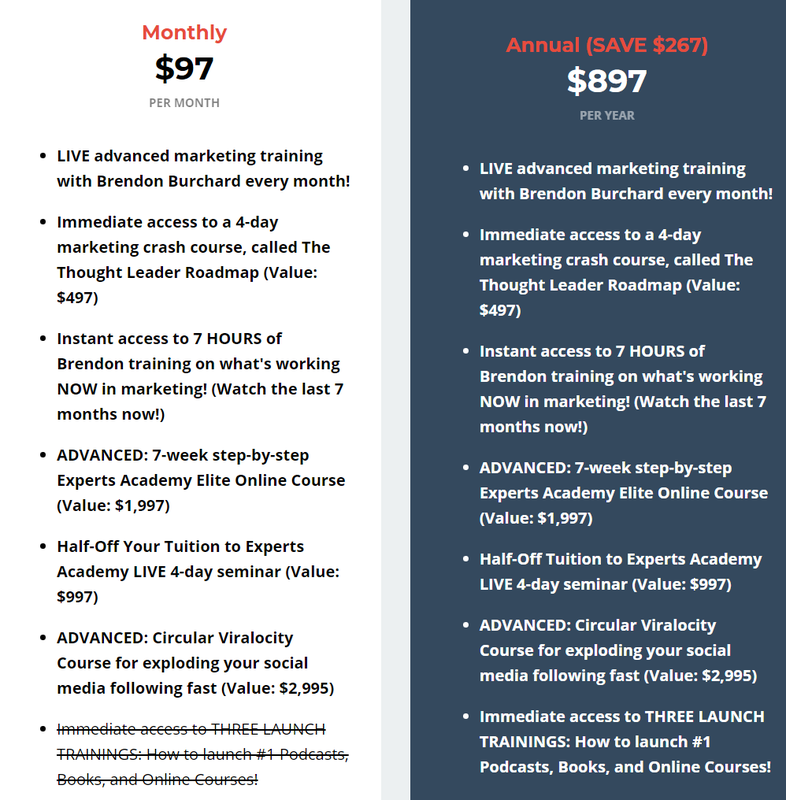 Leadership Mastery with Brendon Burchard (usually $197!). The Motivation Manifesto. 9 Declarations to Claim Your Personal Power. Brendon Burchard blog, podcast and events. On his blog, he writes on a variety of topics related to success and personal development. He currently has 253 podcast on his Brendon show and some are free. You can access them on iTunes. Just like his podcast, he has hundreds of post you can access for free. His post are all in video formats and can be accessed on iTunes as well. I have watched a few of his post and they are captivating. His confidence shines in his post and I believe this is the key to his success. He is even more commanding in person when he appears at his events. Yoo can find more information pertaining to date, time and place of event on his website. In addition to the podcast, events and blog, there are about a dozen motivational videos on his site for free. Is Brendon Burchard a scam? I believe that Brendon Burchard is not a scam. It is a legit program. I however do not think this is the question we should be asking. The question to ask is if this program works and is it worth the money? I think the answer to that question is, it depends. He says in one of his video that he cannot promise that you will make a million dollars within a set time frame because he does not know you, your family, your friends or your circumstance. This simply means that after everything is said and done, your success depends mostly on your actions. Whether you are ready to work as hell for it, whether you have the money to invest in it and whether you have the patience to wait for it. If you look at his website, you will see the tremendous amount of time and effort that has been put to make it what it is. There are hundreds of videos, posts, podcasts and multiple books. He did not make it over night and it was not easy. Can you handle the financial need for as long as it takes to succeed in this program? If you answer yes to this question, then you may want to try it and see if it works for you. If you answer no, then it is time to find a cheaper alternative to this program. There is no guaranteed of success (same with any other education platform out there). You don’t get access to the complete course as a monthly member. Some courses only open at certain times during your membership. It is clear that this program is not meant for everyone. 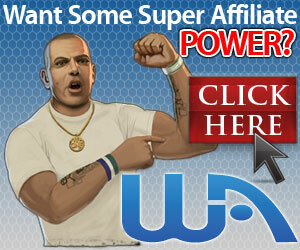 For those of you who are interested in affiliate marketing, try Wealthy Affiliate or Affilorama for alternatives. Both of these programs have free starter memberships. My Review shows that Brendon Burchard is not a scam. It is however an expensive legit education program. Just like any similar program out there, there are no guarantee for success. There are several complaints about this program as expected, with most of them being about the fact that it is not affordable for many newbies. Join my #1 recommendation for online success today for free. Click here to join.